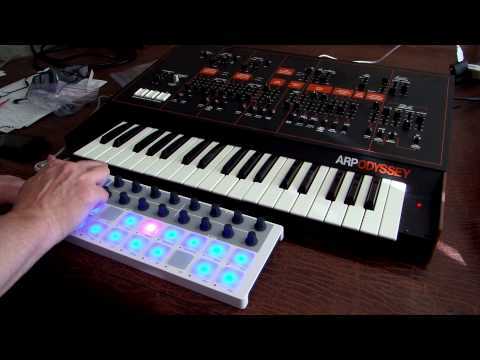 Some random fun with the Beatstep driving my ARP Odyssey. The Beatstep’s Gate Output isn’t strong enough to drive the ARP’s Gate Input, unfortunately, so the VCA is wide open. Still tons of fun.